It’s no secret I’m not a huge reader of non-fiction, but often I am led to it by fiction or movies about real life subjects. For whatever reason, I need to be led to non-fiction by shiny objects and visual effects. Plus, when I do read it it is often about the aristocracy (dreams of a previous life as an Empress, maybe?). So, it’s no surprise that I’ve found Marie Antoinette to be a fascinating historical character, mostly because if you put her excess in the context of the fact that she was still a teenager when she became the Queen of France, it is not surprising at all. In fact, compared to the modern wealthy young women who populate the tabloid sites with their outrageous spending and bad behavior, Marie was pretty tame. Drank a bit too much and had no idea about what things cost, but what teenager does?! Back to mix and match: it was a scene in Sofia Coppola’s decadent movie Marie Antoinette, starring Kirsten Dunst that first made me think about this ill-fated queen’s hair. Namely, the one where she is partying a bit too much and her hair is so huge that she sets it on fire and doesn’t even know it. The visuals of this movie are all over-the-top so I became fixated on her hair, and was it as extravagant as the movie or even more so? 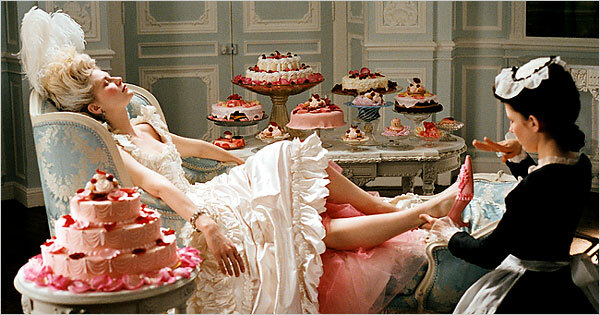 If you haven’t seen the movie, you must- it is visually delectable, and not just for all the cake (which p.s. she never said). Thankfully, I found a book on not only the unfortunate Queen of France, but on her hair and hair dresser. Leonard Autie arrived in Paris in 1769 with nothing but his combs and scissors and through a fortunate series of events was introduced to Madame du Barry, the mistress of King Louis XV. He was unique for the time in that he was a hairdresser not a wigmaker, which was the mainstay of court hairstyles. Instead, he styled hair and his creations for du Barry were such that she presented him as a gift, to the dauphine Marie Antoinette, then only fifteen years old. 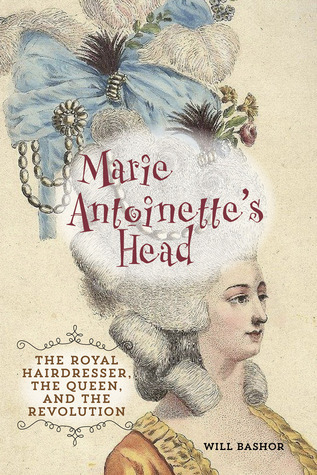 In Marie, Leonard met his muse and in Marie Antoinette’s Head: The Royal Hairdresser, the Queen and the Revolution Will Bashor looks at the reality beyond the fantasy of life in the French court. Marie was a creature of fun and, in modern day terms, a fashionista, so Autie was allowed free reign with her hair, resulting in exuberant and extravagant styles known as ‘poufs’ that often towered almost 4’ from her head. 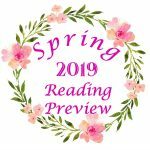 That they included bows, jewels, and even a sailing ship was not unusual—whatever mood her Majesty was in, Autie would complement it with her hair. Bashor includes drawings of the various styles he created for Marie and further fleshes out his life at court and as Marie’s confidante. Using Autie’s autobiography, memoirs of key court figures, and other historical documents of the times we go beyond the frivolity of life at court into the days of terror when the family was held prisoner and Autie himself acted as a courier to England to try and buy their freedom and raise international support for their release. Despite spending all of his own money on a hopeless cause Louis’s own brother does not reward Autie when he ascends the throne. Bashor illuminates this life of, ostensibly, the first celebrity hair stylist and does so in way that makes for easy reading and yet, still clearly defines Marie and her life and times as well. How about you? Do you ever watch a movie and are then inspired to read a book about the subject? Or vice versa?! You’re not alone- my husband won’t watch period dramas. Period. They’re my weekend treat while he’s out being a guy. Spy stuff is great, very intriguing! I know! These corsets – they remind me of Scarlett O’Hara telling Mammy she wanted a – was it a 19″ waist? Something ludicrous, anyway! I guess back then women were only educated to play instruments, sing, and perhaps speak a little of a foreign language (their brains were clearly too small to cope with anything else – like in The Yellow Wallpaper, where she is expected to lie doing nothing all day, which would obviously exacerbate depression, not cure it! I’m sure you’ve read it but for anyone who hasn’t, you can get a free e-book.) So they had nothing to do all day but dream up insane hairstyles and outfits. I wonder how much they spent a year, in today’s money? I bet it’s obscene! I’ve actually got the Georgiana book here; I must read it again. The courtesans, especially the French ones, also make great reading material. There’s a great book called Courtesans by Katie Hickman that’s well worth a read. They were the first women who actually owned their own possessions, rather than being a husband’s chattel, so even if you don’t approve of how they got it, they were ground-breaking for women, in their own way. And when it comes to men, Beau Brummell is a fascinating character – he invented the dandy’s way of dress, getting rid of wigs and makeup for men, and advised the Prince Regent and hung out with Byron. Young men allegedly paid to watch him do his “toilette” regime and dress. It all ended in financial disaster (gambling) – his is a very sad story, but worth reading. Ian Kelly’s biography is really good but pretty massive! Too funny- I was way worse at 18 than I was at 15!